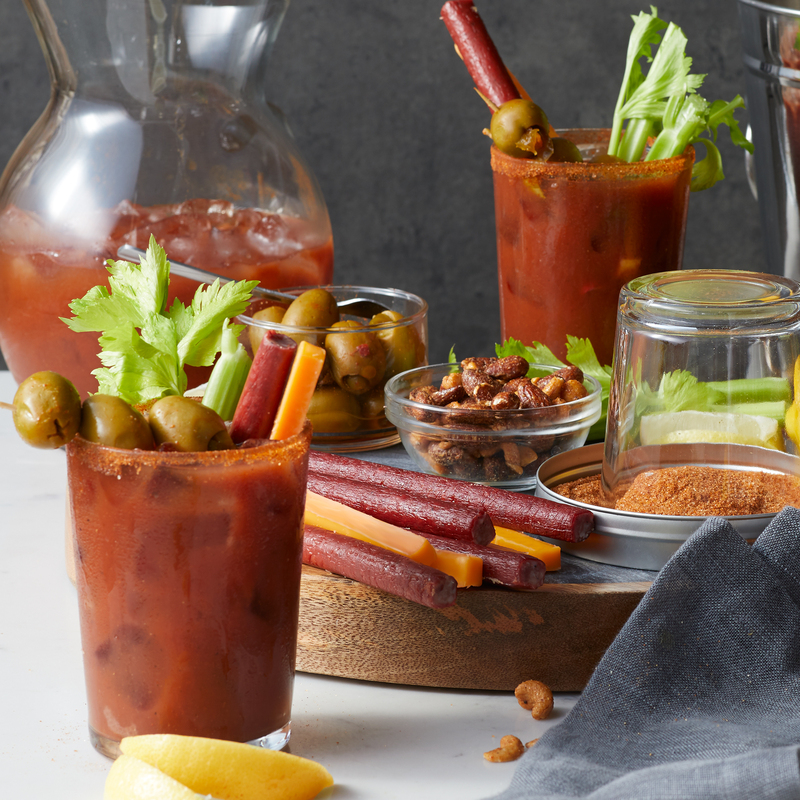 The Bloody Mary is a classic cocktail with a huge fan following, and this gift makes it easy and delicious to enjoy one right at home. We're proud to parner with SuckerPunch Gourmet to pair their incredibly unique, tasty, and 100% natural Bloody Mary Mix with our famous flavors. 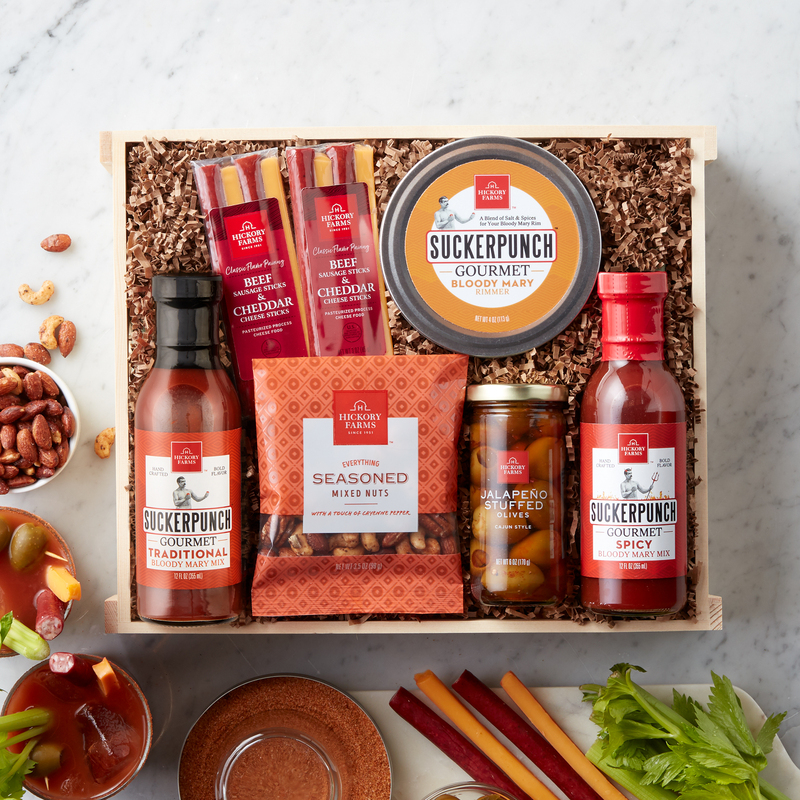 This crate features mixes for a Traditional or Spicy Bloody Mary, and seasoning salt for the rim of the glass. Serve alongside the meat & cheese sticks, Cajun Jalapeño Olives, and Everything Seasoned Mixed Nuts for a high-flavor experience! Alcohol not included.